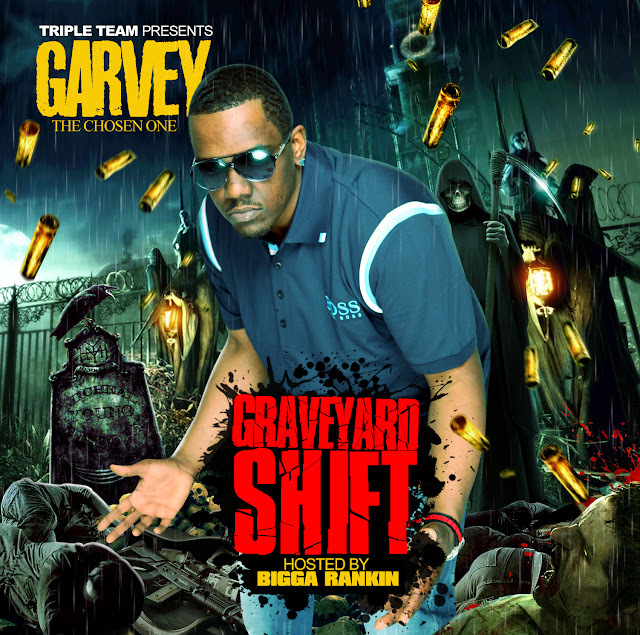 Garvey The Chosen One Releases Mixtape Hosted by Bigga Rankin & New Video "Roller"
CLICK THE CD COVER TO DOWNLOAD NOW!!! He goes by the name of Garvey The Chosen One and he is definitely a gem in the DC Metro area. 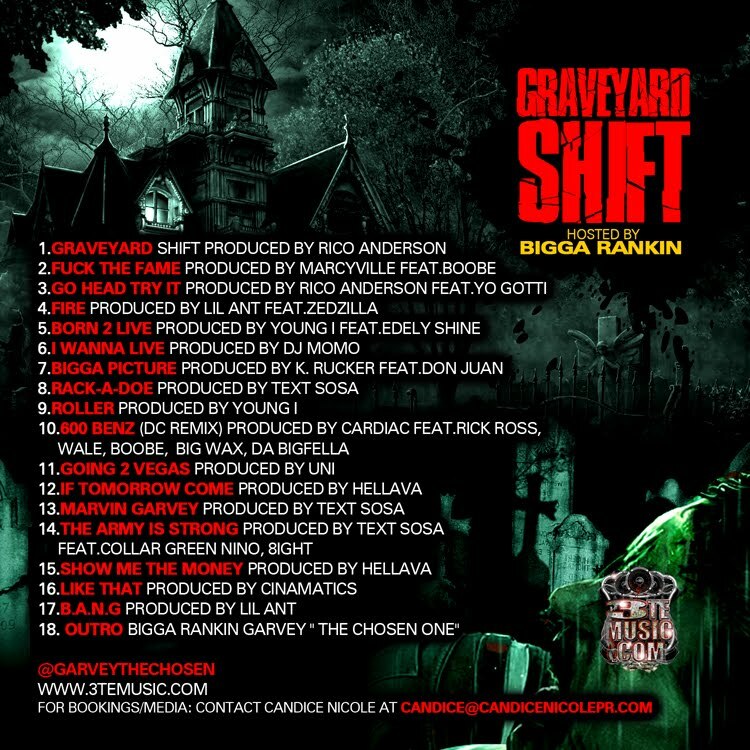 January 10th he released the re-release of his mixtape titled "Graveyard Shift" with the addition of having Bigga Rankin host the project. Bigga Rankin is a well respected DJ in the hip hop community, a staple in fact. He is the CEO & founder of Cool Runnings DJs and throughout his career has broken many artists such as Young Jeezy, Pastor Troy, Plies, Juvenile and many more. With many of those artists being "like artists" to Garvey, the mash up between him and Bigga Rankin was inevitable. 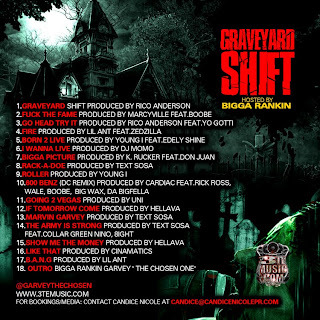 "Graveyard Shift" features Yo Gotti, Zed Zilla, Wale, Boobe & others. In addition, the first quarter will add up to a music filled one for Garvey, as he will also be releasing his album titled "Money Train".Also being released today is his new video "Roller", which was directed by Cool Kids Forever Films own 6ix Shoota. Garvey also released another video "Beat It Like A Dog" two weeks ago which can be viewed here. Both records are featured on "Graveyard Shift".